After finishing medical training Uwe Marx received his doctorate degree in immunology from the Humboldt University, Berlin. In 1995 Dr. Marx was appointed Head of the Department of Medical Biotechnology at Leipzig University and joined ProBioGen, Berlin, in 2000 as Chief Scientific Officer. 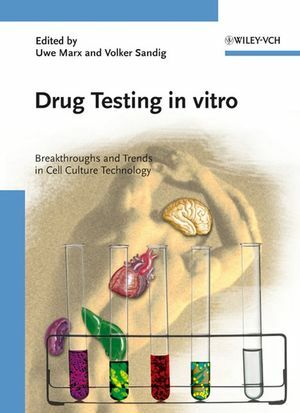 With more than 20 years of experience in protein drug development and improvement of cell culture techniques, Uwe Marx has published more than 50 scientific papers and holds numerous patents. Volker Sandig studied medicine and received his PhD in molecular biology from the Humboldt University, Berlin. He designed experimental strategies for adenovirus based tumor treatment and directed research projects in cell cycle regulation and artificial promoters at the Max Planck Society and Hepavec, a former Berlin-based biotech company. He then joined Merck Research Laboratories, USA and was appointed Vice President Molecular Biology and Virology at ProBioGen, Berlin, Germany in 2000.